They say a child’s personality is fully developed by age 4. By then, habits, moods and other characteristics have already created concrete grounds for the child’s future. Therefore, it is of fundamental importance for parents to be very careful especially for the first few years in child development. The modern era is the one of technology, bringing to life numerous characters that were once part of fairy tales. As children, all girls used to read a lot about Cinderella, Rapunzel and Snow White etc. With time, these story books evolved into animated movies, thus sowing the seed of a fairy tale life and ending in almost every girl breathing on God’s green earth. Enter Barbie to add to this foray of fantasies. If a girl grows up idealizing these fictional characters, she may never be able to understand great women in real life who have made their reputations by hard work and dedication; thus paving the path for generations of women to greatness. Photographer Jamie Moore is very careful in grooming her daughter Emma. 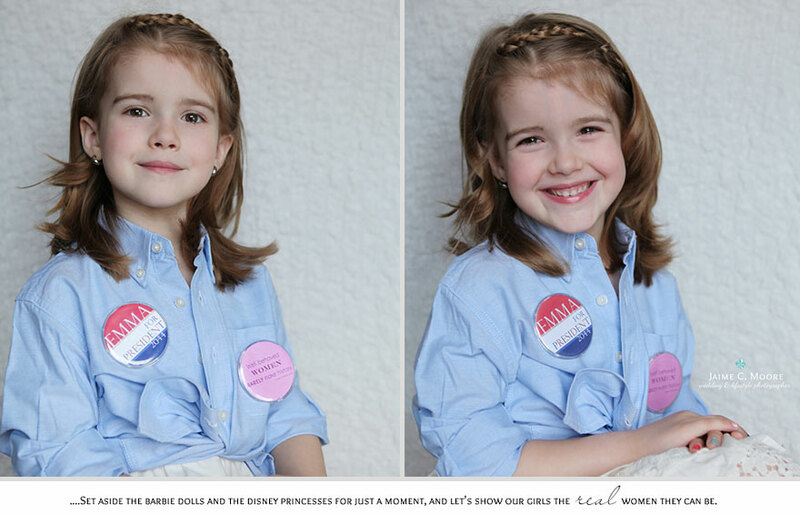 For Emma’s fifth birthday, Moore was looking for an inspirational idea to celebrate it. The idea that she conceived and executed is for all mothers to behold and follow. Instead of dressing Emma as Cinderella etc. 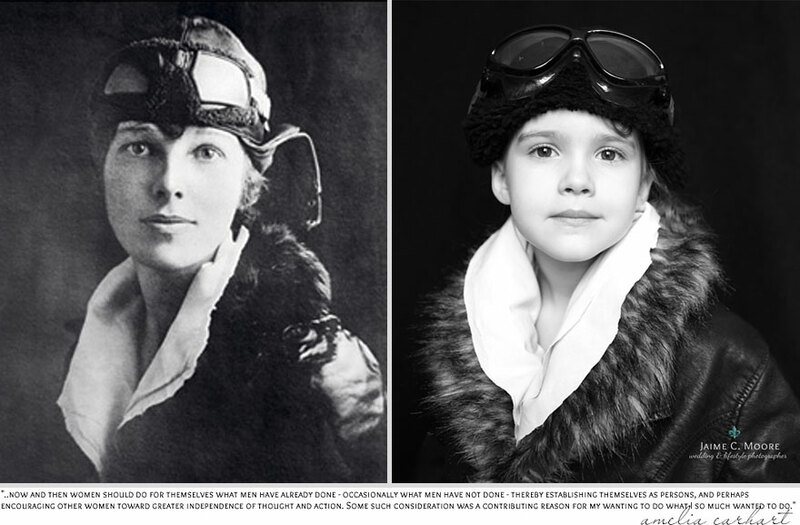 Moore dressed her as various real life women who will always be integral parts of history. 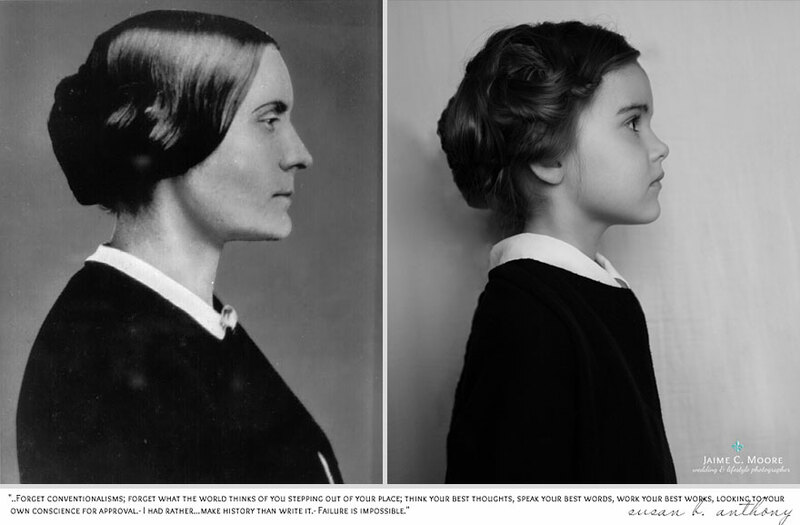 Moore chose five of the most influential women in history, and based on their portraits, shot a series of portraits each of in which Emma is posing as the woman. 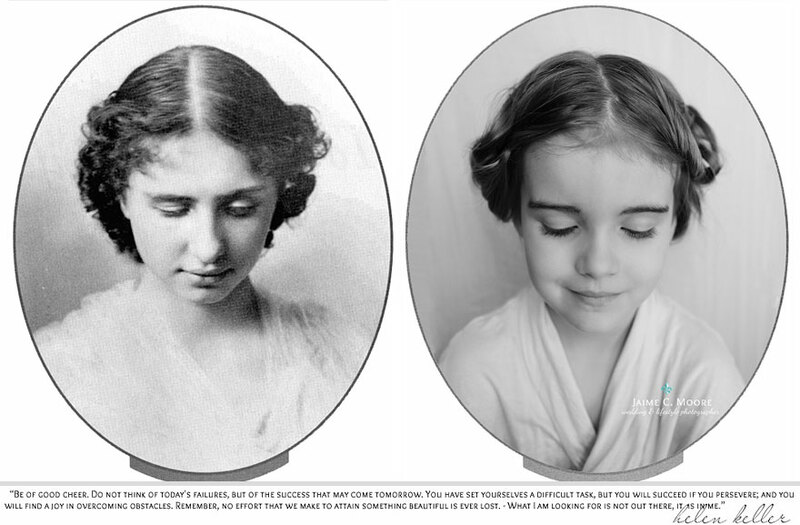 Emma posed in the same way and in the same clothes as Susan B. Anthony, Amelia Earhart, Coco Chanel, Helen Keller and Jane Goodall. It is truly inspiring to see what lengths Moore went to in order to introduce young Emma to some of the leading ladies in history. It is way better than creating a fake ambience including dolls and cartoon characters. Emma must be very curious, as all children are, and must have learned about these women from her mother. At this young age, she is being given a peek at greatness and is surely to be inspired by one or more of these women. This will definitely help a great deal in shaping Emma’s personality. This is how good and responsible parents should groom their children. 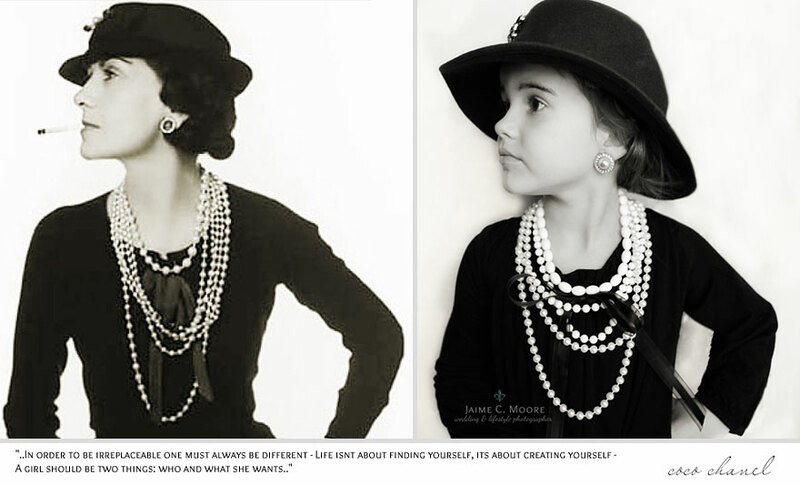 Instead of force feeding Emma information on extraordinary women, Moore made her dress like them and took her pictures, thus creating a unique and creative way for the child to take interest in real life great women.